The past several weeks have been a whirlwind of activity: gardening preparations, tax preparations (I much prefer the garden preparations! ), getting outside to enjoy the amazingly warm weather, and attending various events. 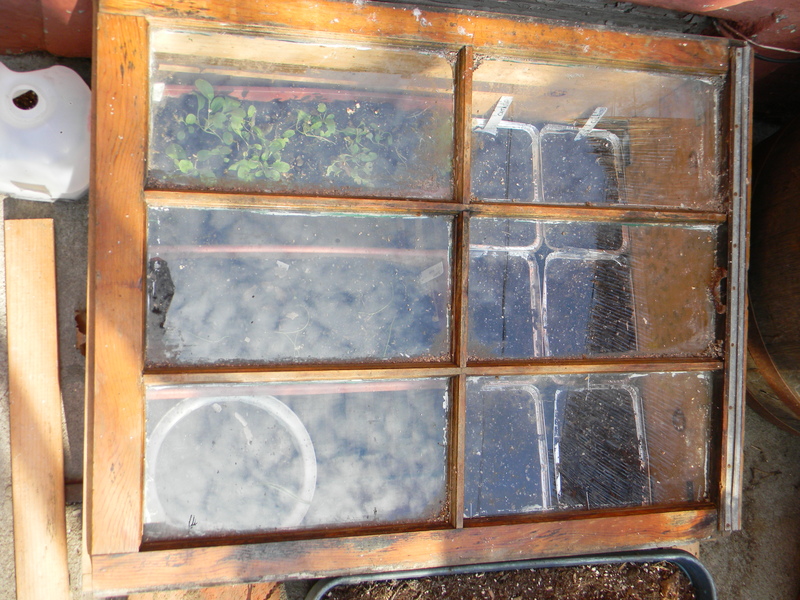 In the gardening department I have winter sown seeds, turned compost, prepped containers, fixed up a broken cold frame window, taken cuttings of my Persian Shield plant (being overwintered inside), and planted lettuces, arugula, radicchio, radishes, and mustard in containers outside. I’ve also started many, many seeds indoors under some lights, but I’ll save that for another post. There have been a flurry of terrific gardening-related events going on in NYC lately and I’ve been fortunate to make several of them. Sadly, I did not get to the Seed Exchange at the Stock Exchange, but that’s probably just fine considering a) I already had enough seeds, b) I still ordered more, and c) I received a lot of free seeds and a few plants at some of the events that I attended! Score! I’ll likely go into more detail about them in future posts, but here’s the quick lineup: First up was the Just Food Conference, which was focused on city gardening, farming and issues related to food justice. Next I got to meet the fabulous Margaret Roach, of A Way To Garden, and hear her speak about her upstate NY gardens. Then I attended Brooklyn Botanic Garden’s annual “Making Brooklyn Bloom” conference, and finally, I participated in a fabulous homemade/canned/baked/pickled/fermented Food Swap hosted by BK Swappers! I’ve had so much fun, met so many wonderful people, discovered a lot of wonderful new organizations and resources for city gardeners, and have been able to take all kinds of free workshops on everything from permaculture to beekeeping to harvesting rainwater! 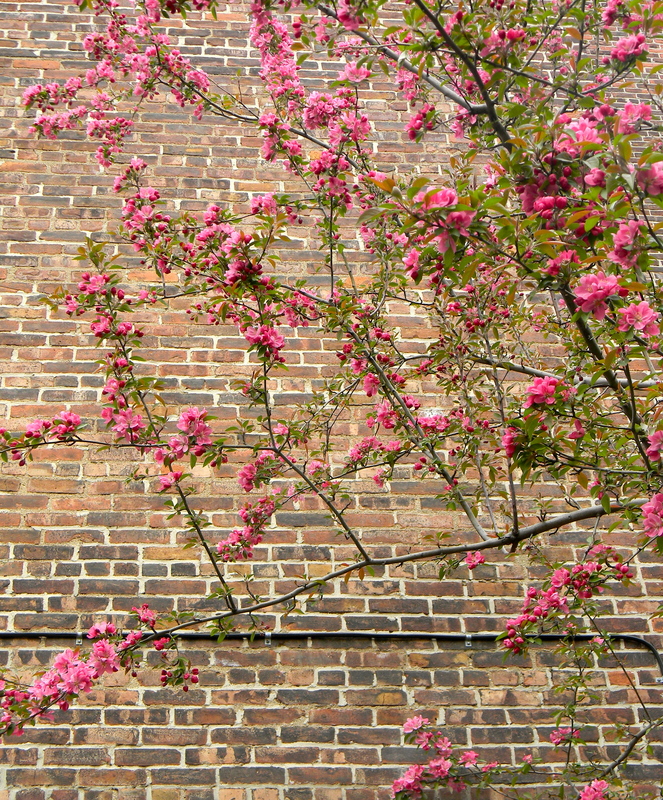 As if everything coming to life and blossoming around us isn’t inspiring enough! My head has been spinning a bit with all the ideas and information I’ve encountered these past few weeks – it’s been great to get my hands in some potting soil and be active outside and let all the new thoughts digest. One really exciting thing is that I found out about and applied for an Urban Farm Training Program at the BK Farmyard…one of a few urban farms here in NYC, believe it or not. You can read about this particular training program HERE. I have an interview this week and I cannot wait to learn more about this program. I have to say that the thought of working outside 3 days/week while learning more about growing food on a larger scale REALLY sounds great to me. Not to mention the program teaches youth about farming and provides fresh, organic produce to the neighborhood. It’s kind of perfect timing too, since I am currently unemployed and don’t have to worry about leaving a job to do this training. Being able to ride my bike to “school” instead of taking the subway to work in Time Square at rush hour would just be icing on the cake. 🙂 More on all of this later! 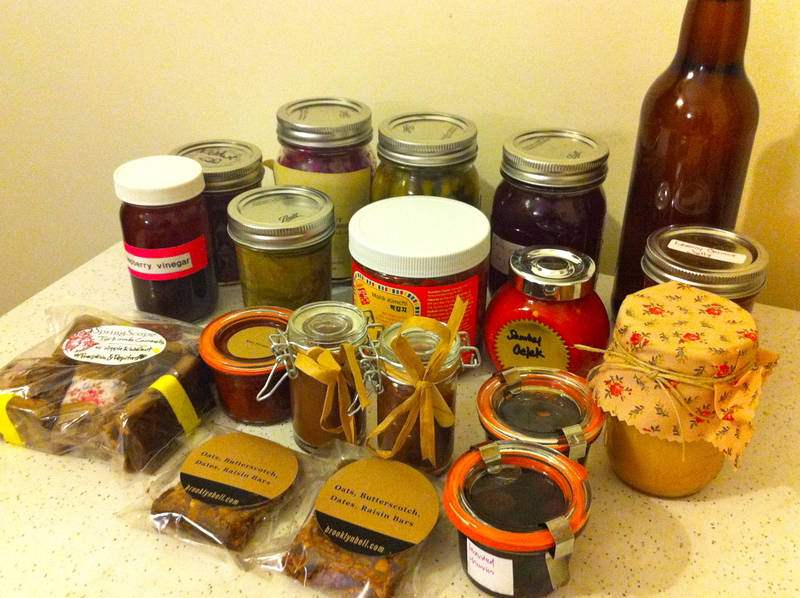 In the meantime, here’s a sneak peek at the incredible haul I brought home from the food swap – woo hoo! I’m planning on checking this out. I’m hoping (please!) that it will be one of my last weeks of being unemployed and that I’ll find a job soon, but in the meantime having weekdays free has allowed me to participate in some great events like this and the rally against Monsanto a few weeks ago. 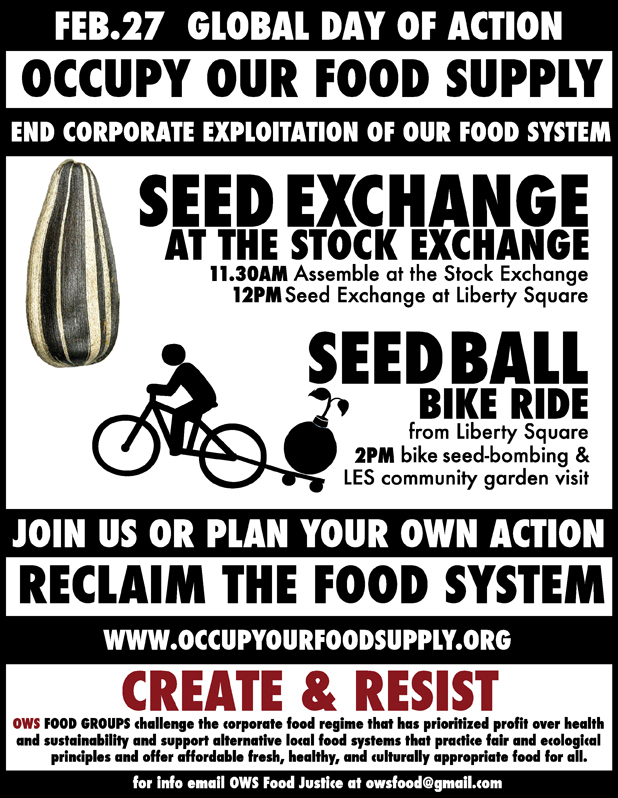 I’m curious about the seed ball bike ride…sounds to me like they’re planning on scattering seed in public green spaces? That’s my guess anyway. Many gardeners, farmers, and permaculture enthusiasts were at the Monsanto rally at City Hall, so I’m hoping some of them will be on board for this and that perhaps they’ve used their influence to put a vote toward scattering native plant seeds. It sounds like there will be speakers and demonstrations throughout the morning and afternoon. I think it’s great that people are getting together on such a large scale to exchange seeds and to encourage others to grow food. I’m hoping it will have a good turnout! I’m taking a look at what seeds I can bring and I’ll report back on the event next week. 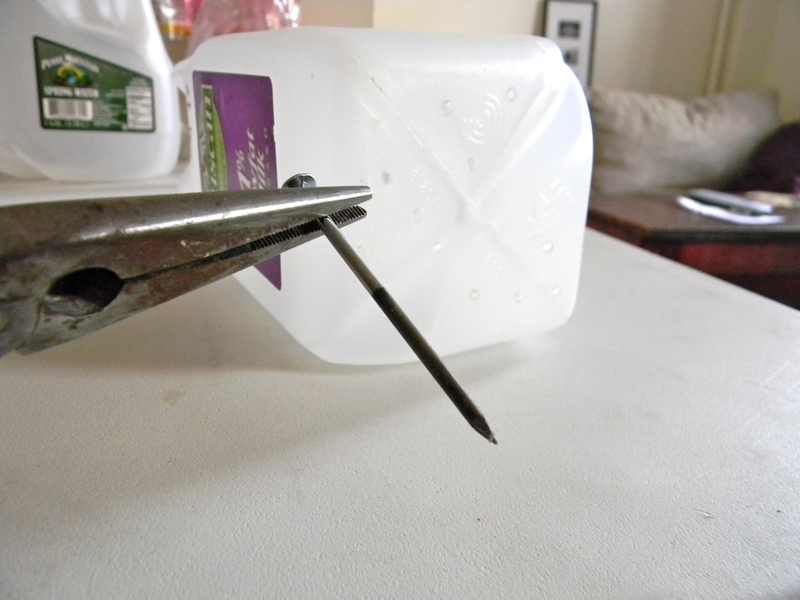 Using pliers to hold a nail over the flame of our gas stove, I heated the nail enough to easily make drainage holes in the bottom of the containers and ventilation holes near the top. 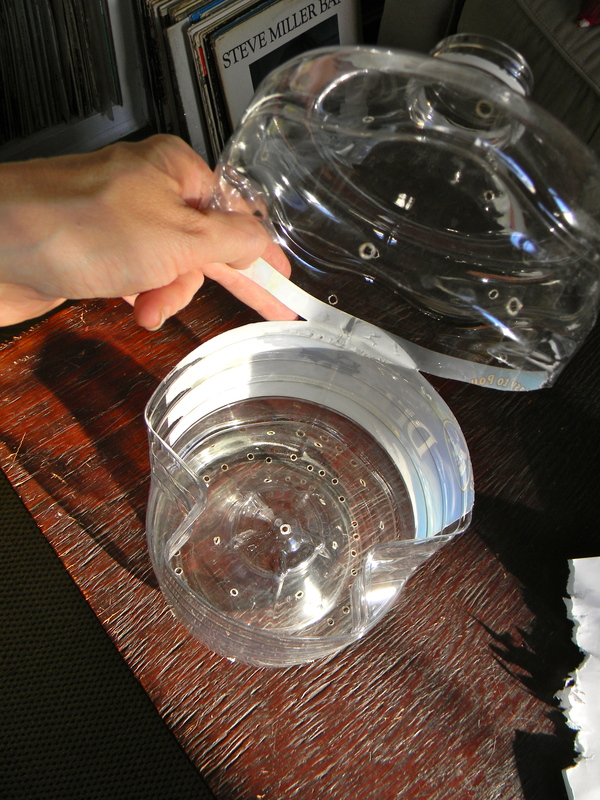 It worked well, but I don’t like the idea of breathing plastic fumes (!!) so next time around I’ll try just hammering nails through and see if that works. 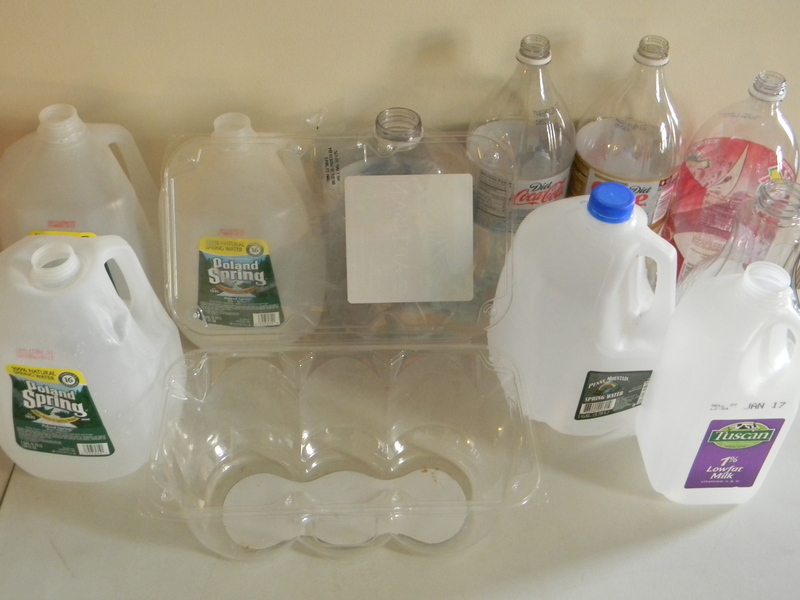 What methods do you use to puncture the thicker plastic containers like 2-liter bottles and milk jugs? 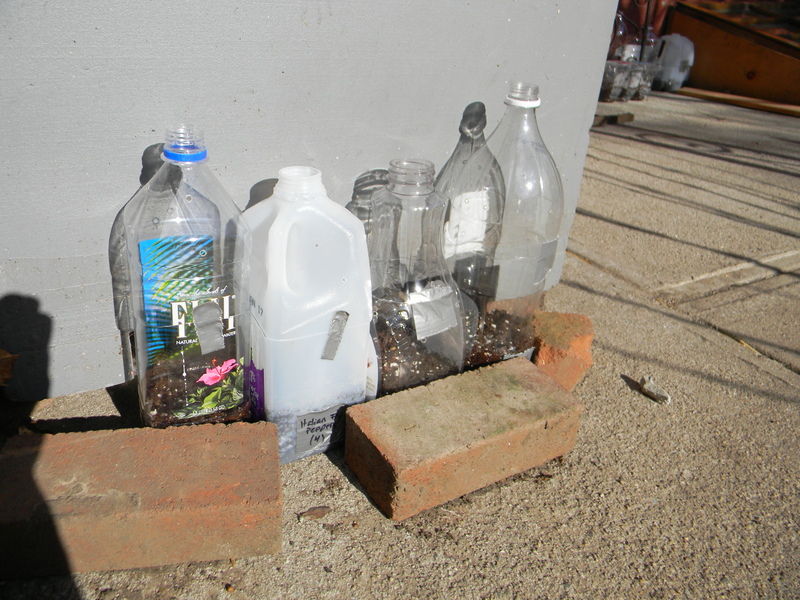 Ready for some greenhouse action: Containers have been filled with watered and drained potting mix, seeds planted, jugs held shut with duct tape, lids off to allow for ventilation and rainwater. 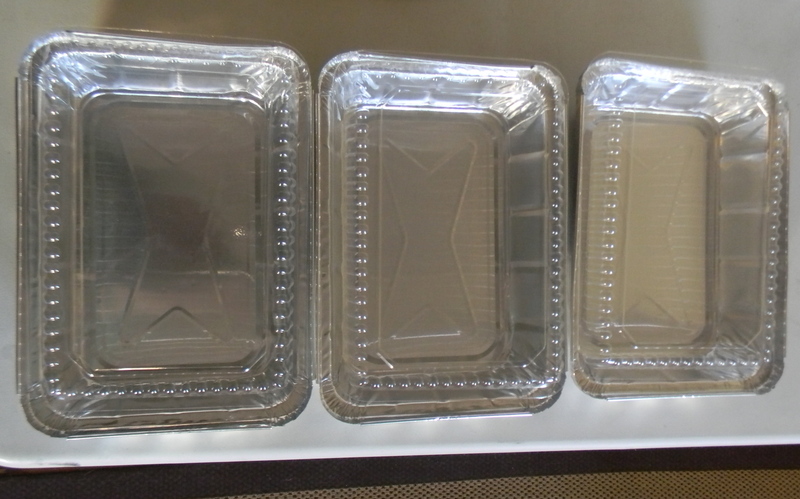 So far the bricks have kept the cats from knocking over any containers. 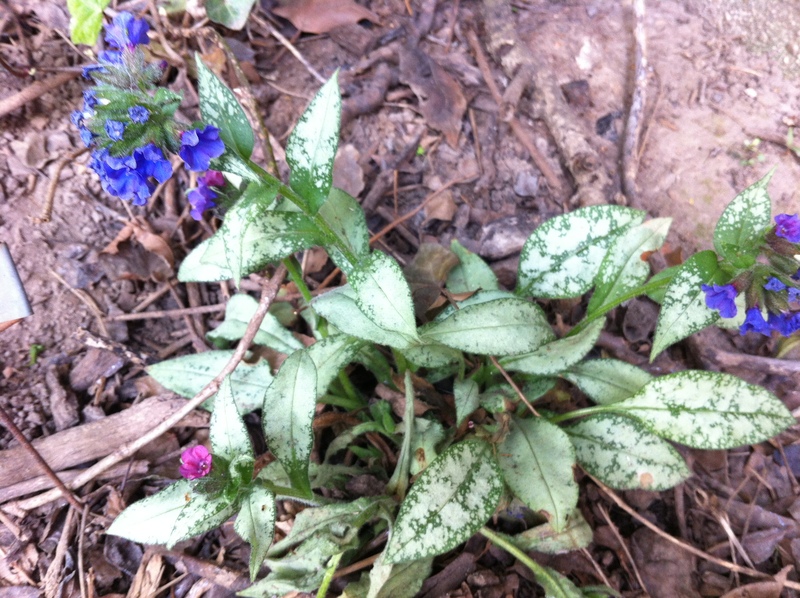 That’s arugula in the upper left, which I planted last fall…it’s coming up nicely now. So far the only things to show any signs of life are the Mustard and the Calliopsis, both of which look green and happy so far. I’m hoping in another month I’ll see more action out there. 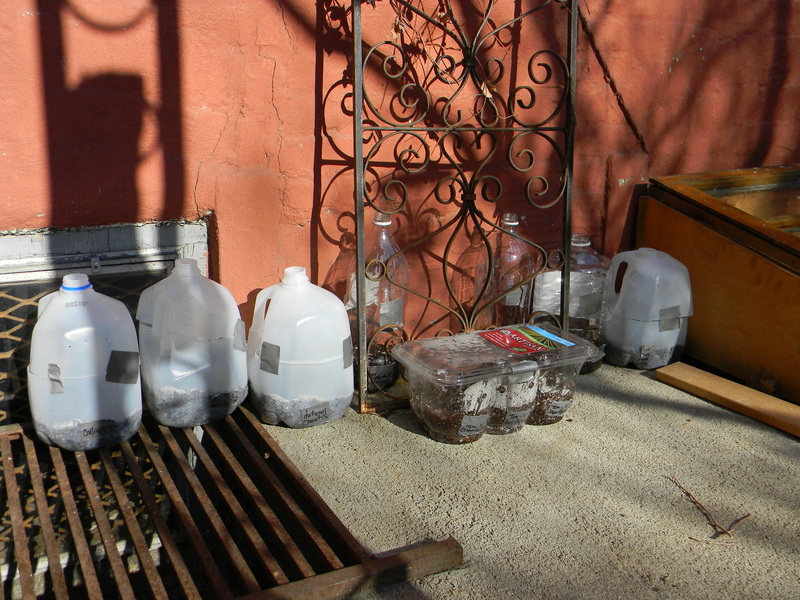 I had to give some extra water to a few of the containers that seemed to have really dried out under the porch awning…it’s a really sunny spot, but they’re not getting any rainwater there. I’m hoping they survived! A very belated and big thank you to Donna at Gardens Eye View and Sheila at Green Place for nominating me for the Versatile Blogger Award, which some of you may have seen going around lately. I try to write posts that will appeal to different people for different reasons, and I’m grateful that you two lovely ladies think they’re worth reading! 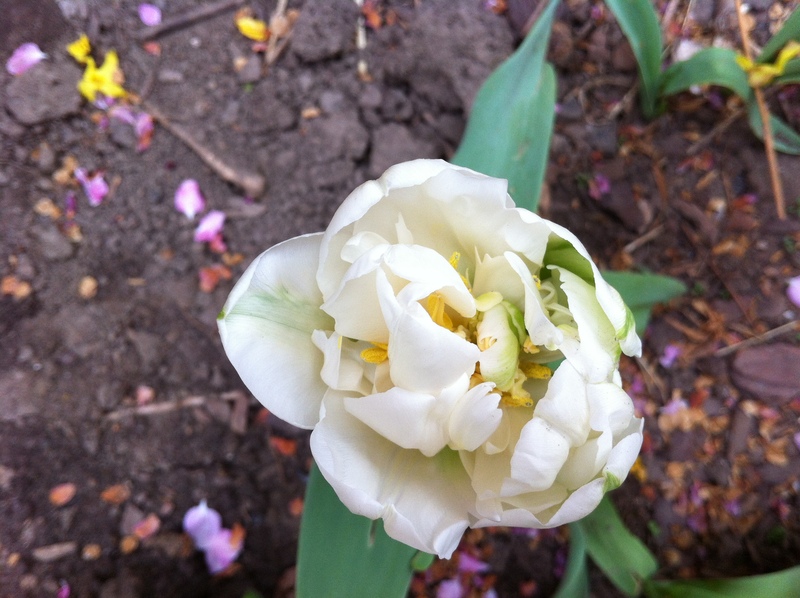 Donna writes from her heart about her life and her garden, quotes that speak to her, and she shares her poetry from time to time. She tries to garden organically, with native plants, and to create habitats that attract and nurture wildlife. 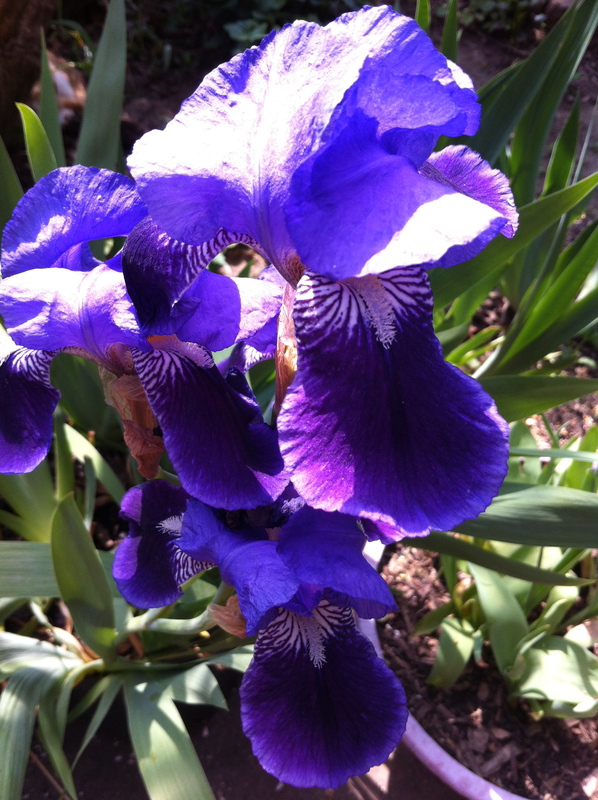 Sheila is a gardener in Chapel Hill who writes thoughtful posts about nature, spirituality, and, of course, gardening. Her photos are fantastic! I’m inspired by a lot of the beautiful quotes she has too. Include the Versatile Blogger button in your post. Include 7 random facts about yourself. Nominate 15 other bloggers and notify them by leaving a comment on their blog. I feel a little silly talking about myself here, so I’m going to stick with the program and be completely random. I do like having the opportunity to share the love and recommend several blogs that I read regularly or have recently discovered and am enjoying. To me, this is one of the biggest benefits of having this award circulating…I’ve discovered many fantastic gardening blogs that I might not have otherwise found, and I’m excited to share some of my favorites with you. I am tall. Really tall. Nope, taller than that…keep going…I’m 6′ tall. Barefoot. When I was born the doctor told my mom she had a jackrabbit. All arms and legs. I’m an Aries. Stubborn, headstrong, and fiery. 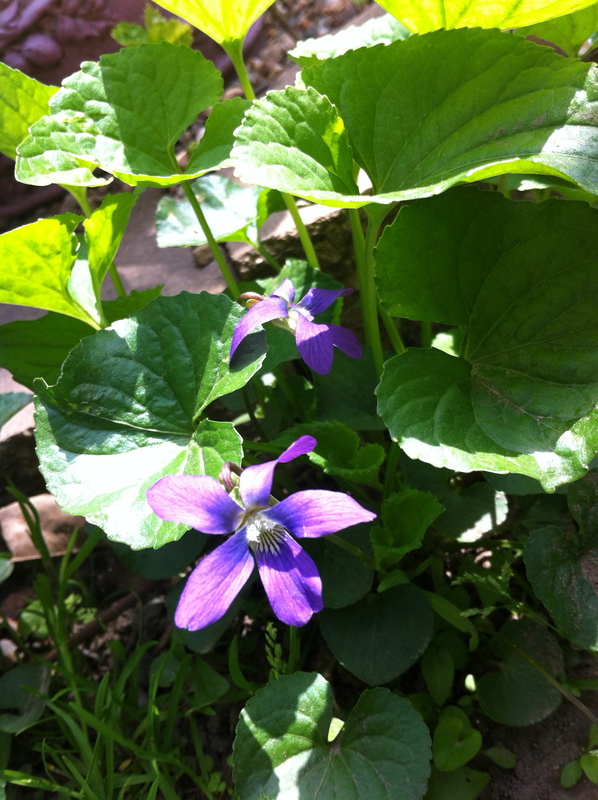 Living Lightly In a Wavering World – excellent, informative posts from a Bozeman, MT gardner about urban gardening, sustainable living, frugality, healthy cooking and more. 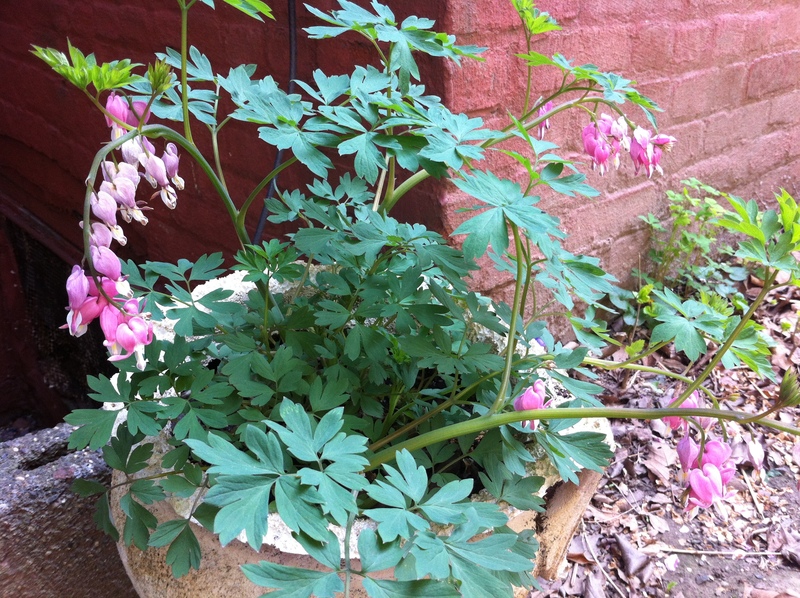 In My Garden (Country Edition) One of my favorite newly discovered blogs – Informative posts and terrific photos from an ornamental and vegetable gardener who recently moved to 3 acres of land in the country and is up for the challenge! Women Who Run With the Delphiniums – Linnie has already received this award a few times, I think, but I had to include her anyway. Hilarious posts from an Oregan gardener about all things plants with a touch of Westie terrier thrown in for good measure. She’s got a lot of knowledge and more than a few tricks up her sleeve. If you haven’t visited, go now. 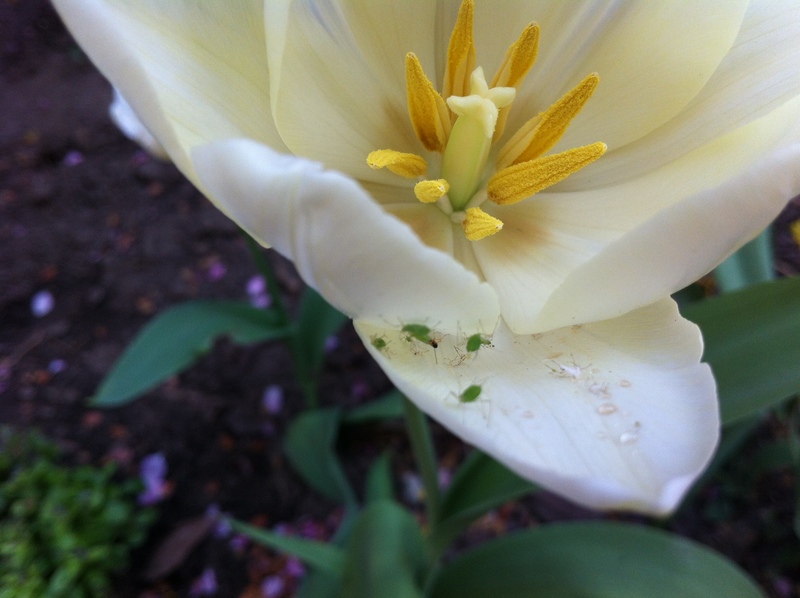 Gardening In The Lines – Erin lives and gardens in Ontario and shares her gardening diary through this lovely blog. 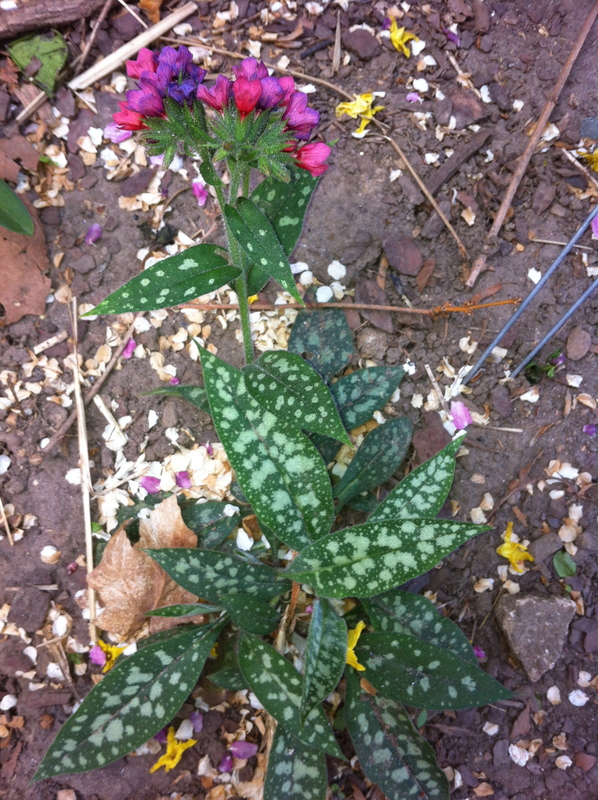 She has a great “plant of the week” feature on her “Past Plants” page. The Iris and The Lily – Stunning nature photographs from a PA gardener who writes very simply and beautifully about the things that inspire her. 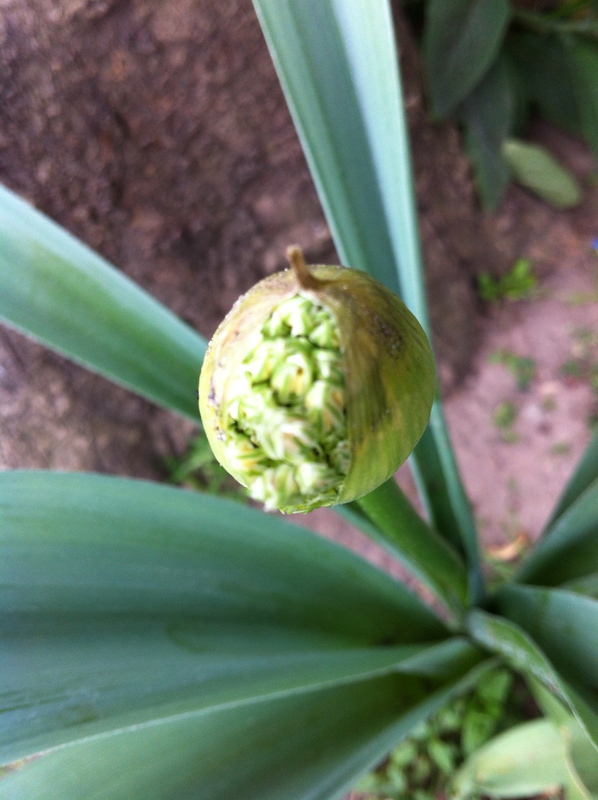 Diggin Food – terrific blog from Master Gardener, radio commentator and author Willi Galloway. She posts about awesome DIY garden projects, kitchen gardening, keeping backyard chickens, seasonal cooking and recipes, and she’s on the board of Seattle Tilth – a great organization. 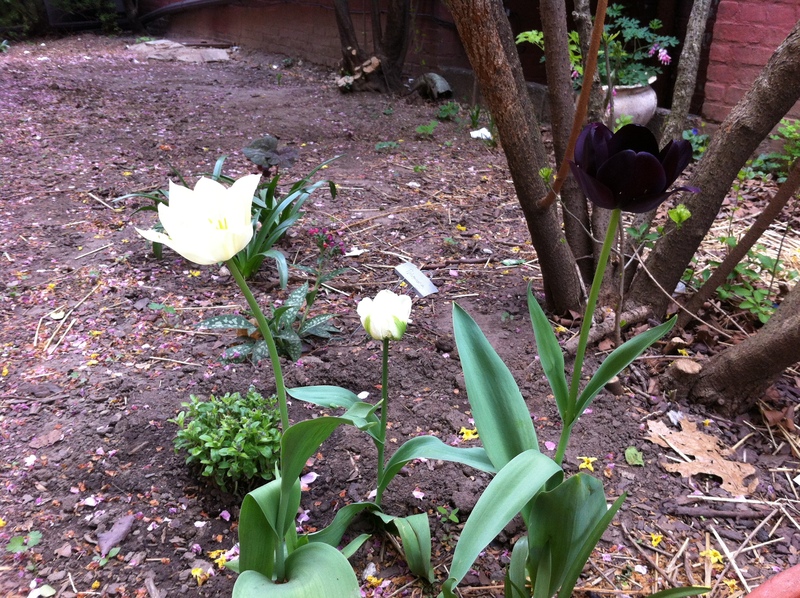 Gardening In The Boroughs of NYC – a fun blog from Mimi, a relatively new gardener on Staten Island. Mimi writes about growing organic vegetables and perennials, starting from and saving seed, and she has personally supplied me with many seeds for this coming season! She also has some great recipes and product reviews. Let There Be Garden – Tricia and Bill are former urban gardeners who moved to the country and now have a large garden in Western NY. 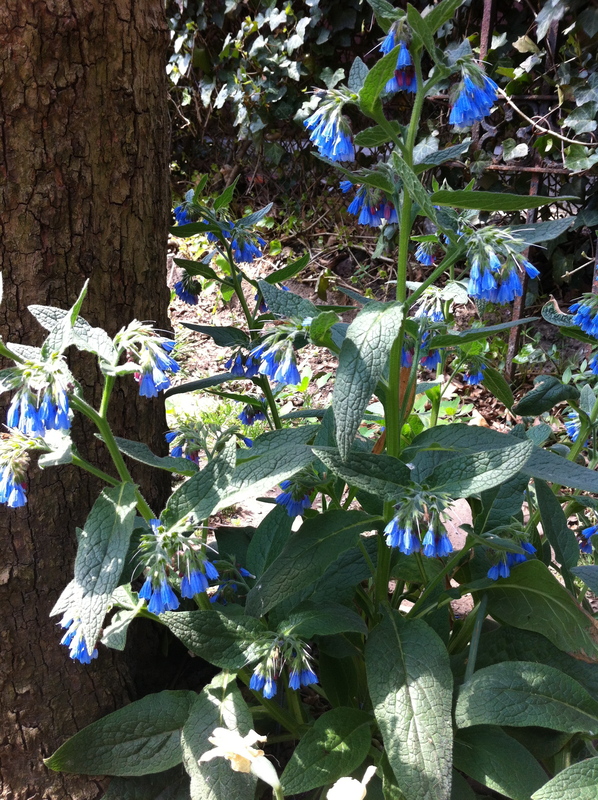 Explore her site to find lots of great practical gardening info and DIY tutorials! 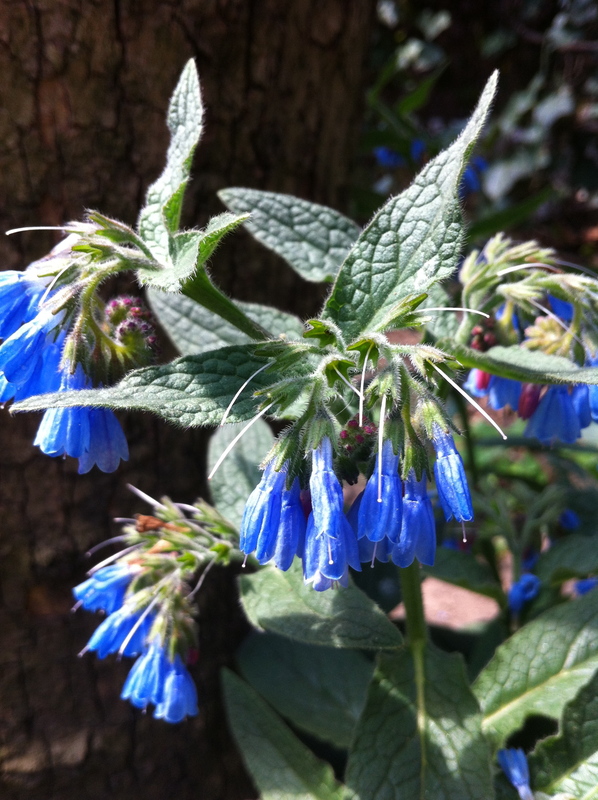 A Gardener In Progress – This is a wonderful blog from Catherine, who gardens in the Pacific Northwest. She’s dug up the whole front lawn and turned it into a garden! Bravo. Her backyard has a beautiful pond / garden, and her posts are full of wonderful pictures of plants, nature, and gardening projects. Catherine is a bird-lover and gardens for them as well as for her family. Gardening In My Rubber Boots – Angela is a Master Gardener in Seattle who writes about her kitchen garden and her backyard chickens (Silkies!) She is also currently taking a bee-keeping class. Our Little Acre – if anyone has a versatile blog, it’s Kylee! 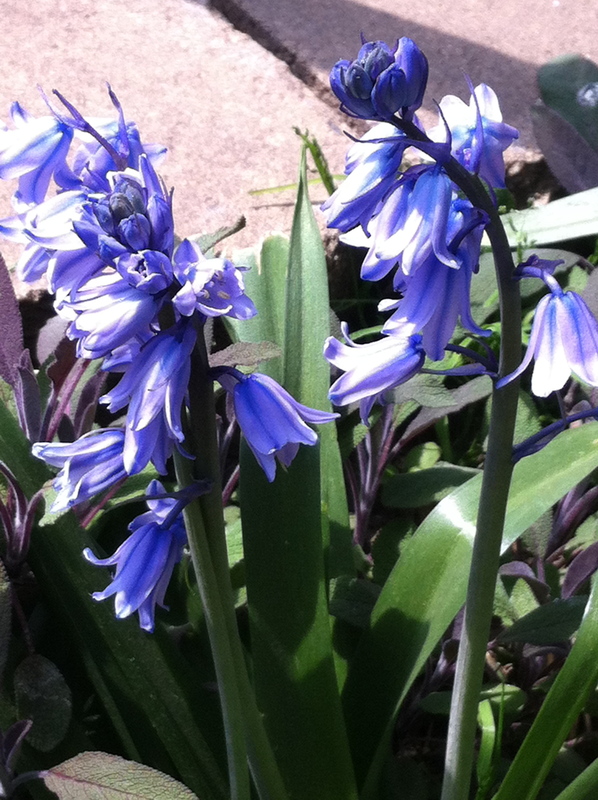 A gardener in NW Ohio, Kylee writes about life, gardening, plant and flower shows, product reviews, history, and she’s a friend to the cats! Microcosm is another newly discovered blog for me. Stacy’s photographs are just incredible. She’s also an excellent writer who examines things up close and personal – in the garden and in life. A new favorite for sure! (Yes, I’m breaking the rules and including an extra blog!) Garden On Sherlock Street has some terrific gardening ideas and info. I love checking out her awesome plant database and keeping up with the pages for planned projects, plants that have been overwintered, food that’s been put up, recipes, and the rain gauge barrel report! Hope you’ll have a chance to stop by and check some of these sites out. Thanks once again, Donna & Sheila! Well, it’s kind of old news by now but I wanted to include some info about it here, not only for my own record-keeping purposes but also to let anyone who hasn’t heard about this know. I first read about the National Wildlife Federation’s plan to partner up with Scotts-Miracle Gro on Margaret Roach’s blog, A Way To Garden, in late January. Naturally, (no pun intended – really) gardeners across the country were up in arms (to put it mildly) at the thought of the NWF, who claims to “protect and defend wildlife and the wild places they need to survive” getting into bed with the toxic nightmare that is Scotts. Petitions were circled and gardeners and environmentalists helped get the word out. The idea that the NWF, of all organizations, could team up with the corporation behind Miracle Gro and other harmful “lawn care products” just felt like a total sellout and a complete betrayal on NWF’s part. These two companies couldn’t be more diametrically opposed in their ethics, missions, and purposes. How the NWF could even consider this is beyond me. It really frightens me to think that so many things seem to go the way of big business at the risk of sacrificing the standards and ideals they supposedly uphold! Many garden bloggers proudly display the “Certified Wildlife Habitat” badge sponsored by the NWF. These folks have put thought and effort into creating a backyard habitat that protects, nurtures, and provides for wildlife. Several of them vowed to remove those badges and signs should this partnership go through. 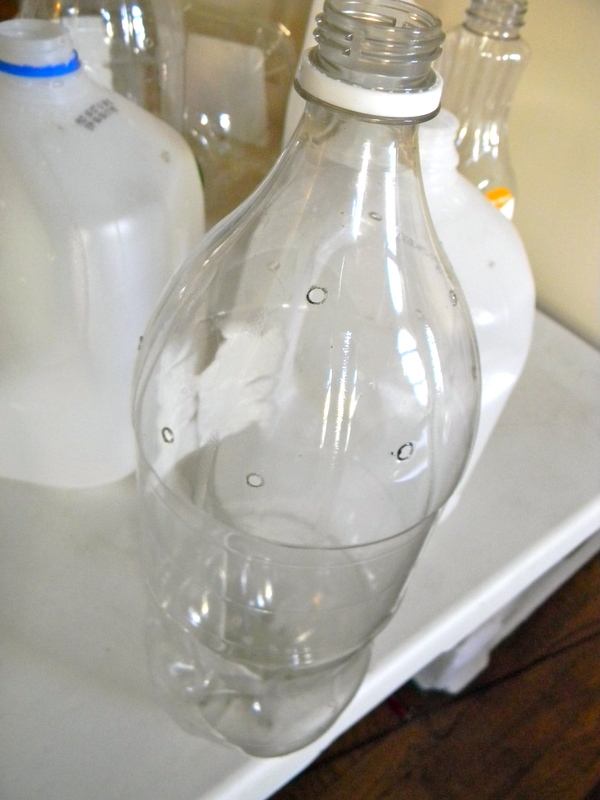 A few days ago I learned from Dave over at Our Happy Acres that the deal is off…and WHY. It turns out Scotts was just fined 4.5 million buckaroos for selling chemically treated bird seed – KNOWINGLY selling toxic bird seed, that is. I’m glad they’ve been called out on it, and I’m glad the deal with NWF is off. It’s just truly a shame this had to happen at all…chemically treated food for wildlife…the NWF considering such a partnership in the first place…I’m hoping they’ll get such an earful about this from their membership / the public that they’ll keep their priorities straight and forget the idea of teaming up with the likes of Scotts anytime in the future. If you’re interested in learning more about how to create safe habitats for all sorts of wildlife in your own backyard, Donna over at Garden’s Eye View has included some information and helpful links mid-way through this post. As always, spread the word. A lot of gardeners out there might be aware of the harmful “gardening” products that Scotts makes, but there are plenty of people who don’t garden but feed birds and other wildlife that should know about them! In case you are interested in checking them out, I wanted to show the faces of the farmers who came to present their case against Monsanto at NYC’s City Hall on Tuesday morning. It is so important to know where our food comes from…having the chance to meet the people who actually grow it is a real privilege. It all went a long way to making me feel much more connected to them and to the food, having seen where (and who!) it literally comes from. these are the founders of Food Democracy Now – Dave & Lisa, from Iowa. this guy is actually not a farmer…he’s a NYC Environmental Lawyer and was very involved with the “Seeds For Haitit” program. He was here, showing his support.